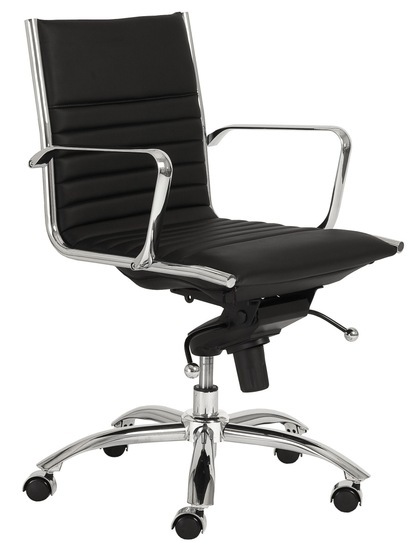 Dirk low back office chair is both classic and contemporary. 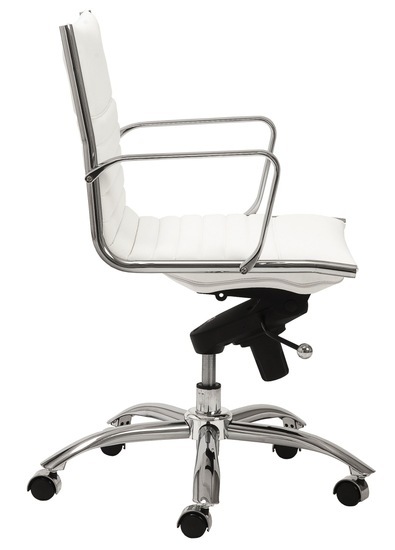 It is made of chrome steel base and chromed aluminum armrests with rolling base, adjustable height and tilt-swivel mechanism. Ergonomic one-piece leatherette over foam seat and unique flexible suspension provides long term comfort. 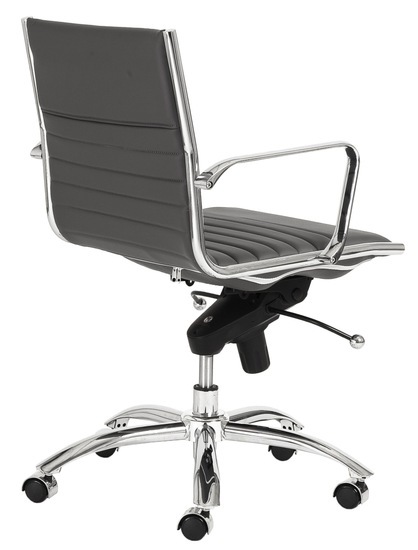 Dirk low back office chair is offered with a pneumatic seat-height adjustment feature and tilt lock option. The pneumatic option increases the ease of height adjustment and range of motion to suit a broader range of seating applications and body types. Tilt lock allows the seat angle to be secured in a neutral position. 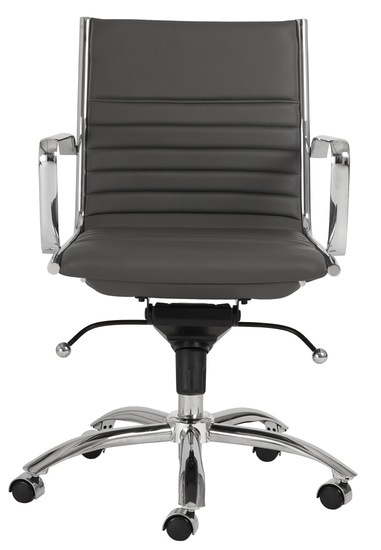 Dirk office chair's clean, trim lines make it appropriate for all kinds of places; for contemporary homes, elegant offices, conference rooms, or hip startups.